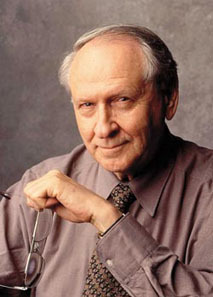 After dropping out of Syracuse University, William Safire worked several years for Republican strategist Tex McCrary. He became speechwriter for Richard M. Nixon and Spiro T. Agnew, coming up with such gems as the deliciously alliterative "nattering nabobs of negativism" line for one of Agnew's speeches. He had the fortunate timing to leave Nixon's employ just prior to the Watergate Scandal. Safire was hired as columnist for the New York Times. Safire was sloppy as a columnist, and often highly partisan. He would often take the "throw everything against the wall and see what sticks" approach. For example, Saddam Hussein's involvement with the 9/11 attacks was "undisputed fact" since in 2001, future hijacker Mohammed Atta met with Iraqi officials in Prague. In the real world, that meeting never occurred. In 1978 he was awarded the Pulitzer Prize for Commentary, for his partisan columns regarding White House Budget Director Bert Lance's finances. It should be noted that Lance was cleared of all wrongdoing, but only after he had been driven out of office. Beyond his op-ed columns, Safire also authored a weekly On Language column in the newspaper's Sunday magazine. Being self-appointed "Language Maven" perhaps brought him more fame than his regular column. It spawned a half-dozen books, and was often the subject of more mail than any other piece in the magazine. Safire continued with On Language until two weeks prior to his death in 2009 from pancreatic cancer.